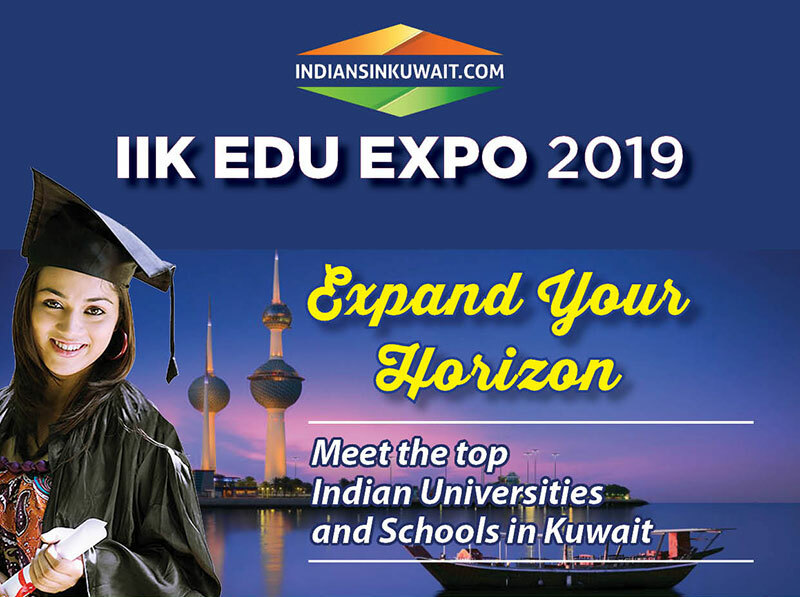 After the grand success of IIK EDU EXPO in March 2014 , January 2015, January 2016 , January 2017 and January 2018 popular community portal IndiansinKuwait.com (IIK) announces one of its kind Indian Education Exhibition “IIK EDU EXPO 2019“ in Kuwait. The IIK Edu Expo will be held here for two days, Friday, 11th and Saturday, 12th January 2019. The two day expo will be at Crowne Plaza, Al Murjan Hall, Farwaniya, Kuwait from 10:00 AM to 8:00 PM. The expo will give a good opportunity to the parents and students seeking admissions for higher educations in India. Reputed business schools, medical and engineering colleges, Universities in India will be participating in the expo to showcase the latest educational opportunities available in India. This pioneering endeavor from IndiansinKuwait.com will be a one-stop destination that caters to the needs of young expats in Kuwait. This will give students an opportunity to meet face-to-face with representatives from Indian Universities and Institutions directly and ask them their burning questions, get advice on their applications and more. Career consultants from reputed universities will give free counseling to the students at the venue. Pre Registered lucky winner may win a branded watch at the end of the expo. Admission is free to the expo on both days and it is open to everyone.